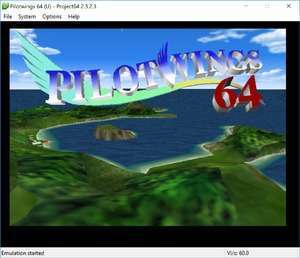 Project64 is an emulator that has been in development for a couple of years. We are proud to allow other people to use the product that we have made for their enjoyment. Project64 features emulation of the Reality Signal Processor, which was reverse engineered by zilmar. Project64 uses a plugins system allowing third-party groups to use their own plugins to implement specific components. Version 2.3.2.202 is a freeware program which does not have restrictions and it's free so it doesn't cost anything. For security reasons, you should also check out the Project64 download at LO4D.com which includes virus and malware tests. Additional screenshots of this application download may be available, too. Project64 download been highly rated by our users.